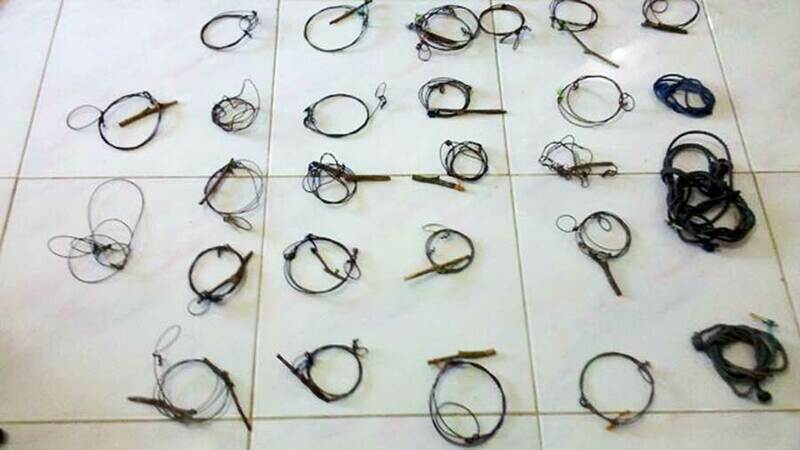 Our rangers find dead elephants and snares on a regular basis. Poaching is rising at an alarming rate in the Leuser Ecosystem and the surrounding forests in Aceh. An influx of hunters from Central Sumatra as well as other Asian countries has increased the rate of extinction of elephants, tigers and hornbills. Body parts from all three species are highly sought after due to unfounded beliefs about their medicinal properties and they fetch high prices on the black market. 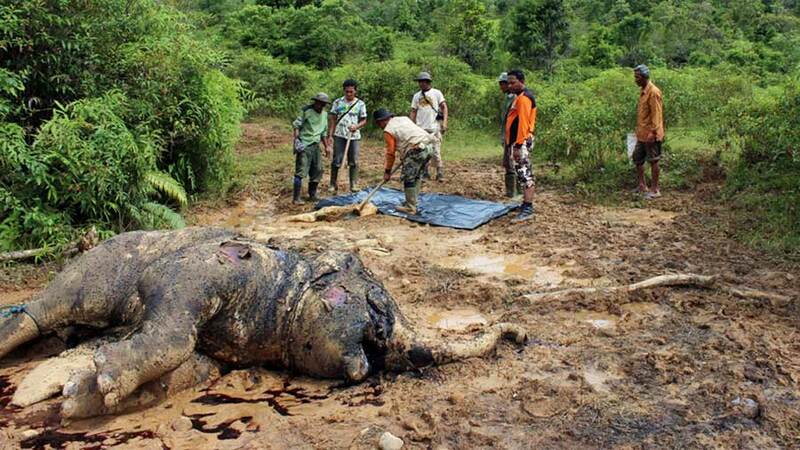 An estimated 30 individual elephants were killed in the Leuser Ecosystem and surrounding forest within the past 2 years. This amount is equivalent to 6% of the elephant population and 25% of remaining tiger population. Wildlife Protection Teams have recently reported that evidence of tigers in some areas has dropped by almost 75% in the last 5 years. Thousands of hornbills are being decimated due to the high value of their bills. Their populations have suffered severe pressure in the past year. It is estimated that within the next 10 years the population of tigers, elephants and hornbills will become extinct in the Leuser Ecosystem if we do not significantly increase our protection efforts. We are facing a poaching crisis. At least 20 more Wildlife Protection Teams need to be deployed to give these species a chance for survival.